Sixt offers quick and easy car hire at Edinburgh Airport, and you can count on us to provide a friendly and professional service. Our branch is located conveniently in the airport Car Rental Centre and we are open all day every day, from 7am to 12am, including on Sundays and bank holidays. We also offer 24 hour returns so that you can fit drop-off around your schedule, no matter your flight time. With our easy to find location and extended opening hours, we offer optimum convenience and flexibility. You can choose from wide range of vehicles to rent, such as luxury cars, convertibles, compact cars, people carriers and minibuses. We offer special hire car deals such as weekend promotions, long term hire and student discounts. You can personalise your rental with extended insurance and protection packages as well as options such as adding a second driver, sat navs and child car seats. What makes the Sixt Edinburgh Airport branch special? Edinburgh city, the capital of Scotland is set in an idyllic world heritage site, offering oodles of historical sites dating back from the bronze age. With a population of almost 500,000 Edinburgh is the second largest city in Scotland and a top UK tourist hot-spot with 1 million overseas visitors attending the Fringe independent performing arts and comedy festival in August alone, making the city well known as the European cultural hub for performing arts venues. Edinburgh is especially beautiful around November and December, offering many Christmas markets and family-friendly festivities that are perfect for a long weekend away. Make sure to celebrate New Year's Eve in this historic city, by embarking on a romantic getaway complete with cosy nights by the fire. The Lothian region and the Scottish Lowlands are home to meandering country roads that offer stunning views over lochs and wild hills. Explore each stretch from the comfort of one of our premium 4x4s, stopping off at small villages along the way. 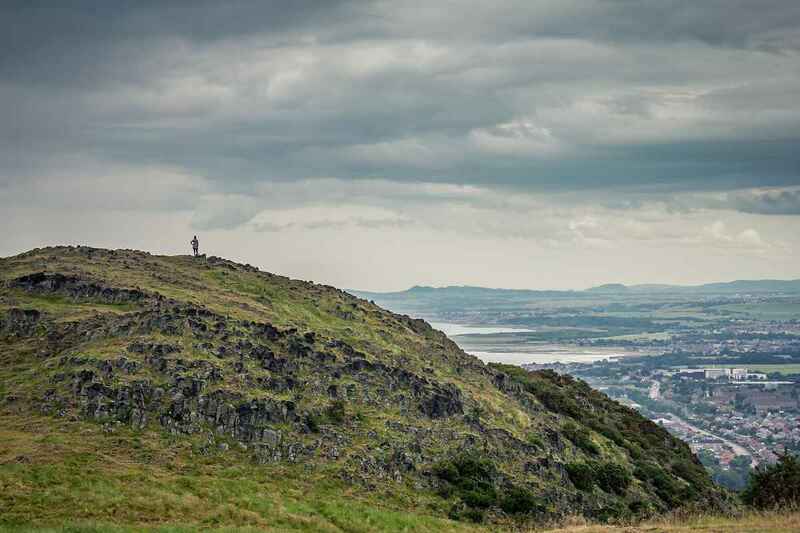 Whether you'd prefer a peaceful stroll along the coast at nearby Portobello beach or a thrilling climb up iconic Arthur's Seat, there are outdoor activities for everyone in Edinburgh and its surrounding locations. Sixt Edinburgh Airport is perfectly positioned at the exit of arrivals and you can't fail to miss our bright orange branch! We offer a wide variety of cars to hire from small economy right the way to large luxury cars. Our friendly staff will be happy to help with any questions or assistance that you need before you set off to enjoy the rest of your stay in Edinburgh! Sixt is looking forward to greeting you and serving all of your car hire needs in Edinburgh Airport!